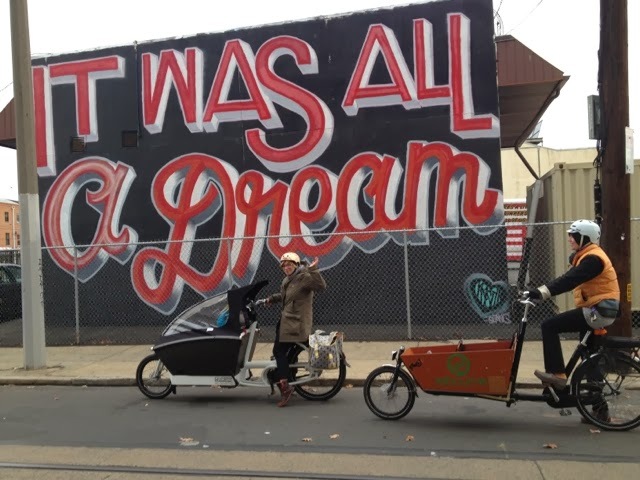 Last weekend I took a small crew aka, my kids, my husband and co-KM organizer Marni out to test the route for our South Philly light ride. This is the first route I couldn't map entirely just from thought and google maps. Even though we lived in South Philly for years I just couldn't place the lite streets in my mind to paper without riding them. I based our route on a combo of two routes one for runners, one for bicyclists. I knew a KM should really be under 5 miles since we go slower then molasses. That sadly eliminates the circle streets on the west side of Broad. Disappointing but as Marni said the kids have no idea they are missing anything. 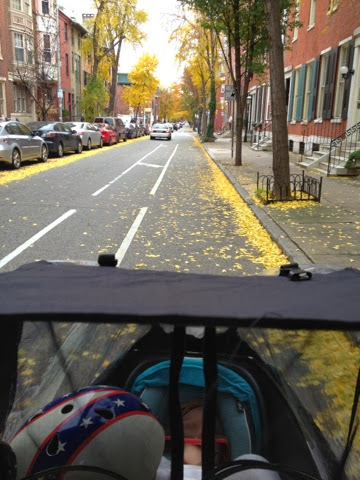 Overall the route is fair, wide streets but no bike lanes. We will only need to deal with trolley tracks once on Passyunk. 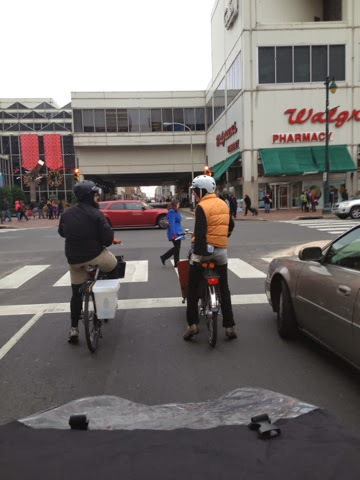 We eliminated biking down a street of lights because navigating trolley tracks in the dark stinks. 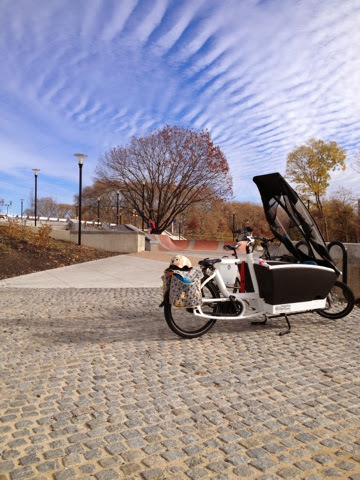 Our route and other FAQs are up at www.kidicalmassphl.org. 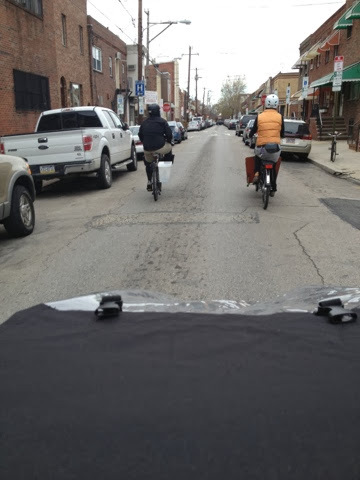 We hope you will ride with us and warm up after the ride at DiBruno Brothers in the Italian Market. Someone was in a good mood. 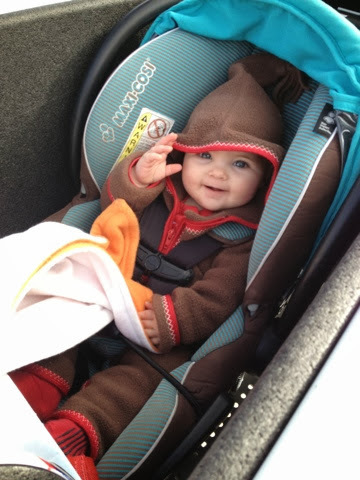 She keeps pretty snug in her carseat/fleece. Waiting on lunch from Sarcone's Deli. The Gallery. For those not in Philly, think of the worst Mall ever and put it in the middle of the city. 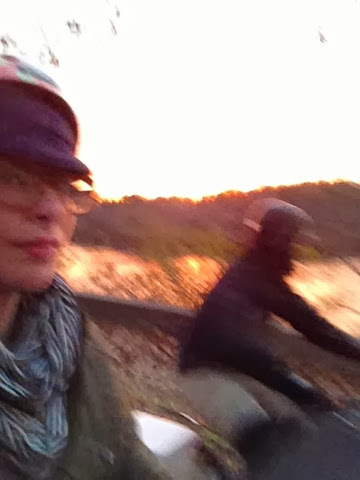 & a Perfect sunset to ride home besides!! 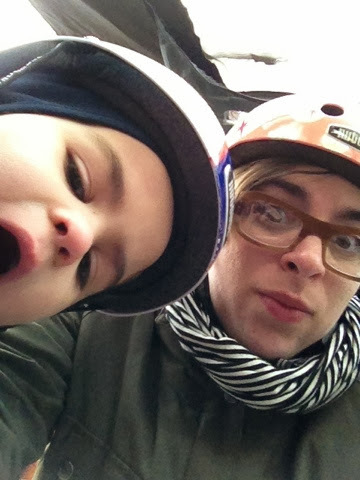 Kidical Mass Rides to Philly Bike Expo Saturday!